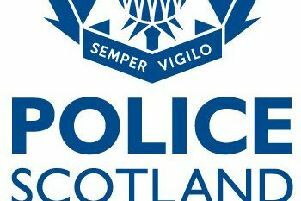 A 25-year-old man has made a private court appearance in connection with the discovery of £35,000 worth of heroin in Hawick this week. Daniel Lenton appeared at Selkirk Sheriff Court today, January 16, charged with being concerned in the supply of the class-A drug. That hearing follows a police search of a property in Hawick’s McLaren Court yesterday. Lenton, of Hawick, was released on bail in the meantime. No date has been given for his next court appearance. Detective sergeant Barry Roebuck, of the criminal investigation department at Galashiels police station, said: “Tackling drug crime is a priority for the local community and therefore it remains a priority for us. “Any information or intelligence we receive to suggest that someone may be involved in distributing these harmful and illegal substances will be fully investigated.